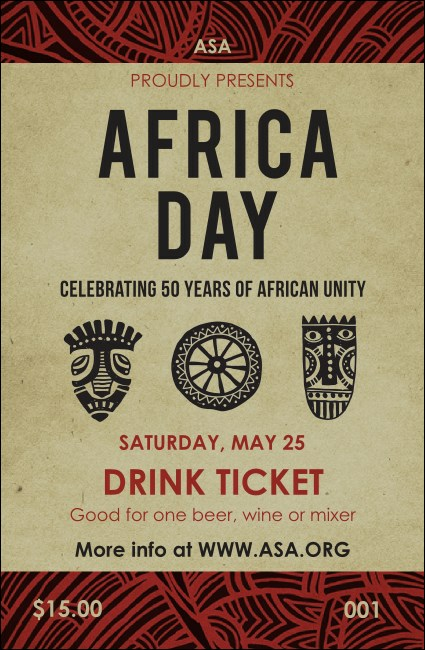 Let your guests share a ceremonial toast with your African Theme Drink Ticket. Safari style colors of black and linen join a red and deep brown abstract print and tribal-like designs to make a clear impression on all in attendance. This bold print will serve as an elegant expression of your theme.